Would you love to master morse code? Could you have have outsmarted an enigma machine? Would your love of chess have seen you recruited into the history books?When scouring the land for top-level code breakers, the Bletchley Park recruiters left no stone unturned. As well as approaching the country's finest mathematicians, they cast their nets much wider, interviewing sixth-form music students who could read orchestral scores, chess masters, poets, linguists, hieroglyphics experts and high society debutantes fresh from finishing school. To assess these individuals they devised various ingenious mind-twisters - hidden codes, cryptic crosswords, secret languages, complex riddles - and it is puzzles such as these, together with the fascinating recruitment stories that surround them, that make up the backbone of this book. 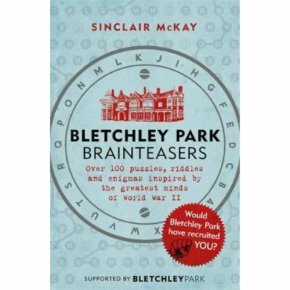 The code breakers of Bletchley Park were united in their love of a good puzzle. If you feel the same, why not dive in, put your mental agility to the test and discover: Would Bletchley Park have recruited YOU?